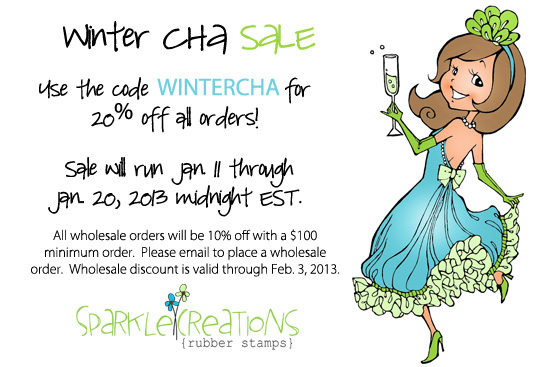 Hello and Welcome to previews for the January release for Sparkle Creations Rubber Stamps. Sparkle is releasing 2 new images tomorrow! Today we are previewing Chocolate Box Ruby! She comes with two sentiments. 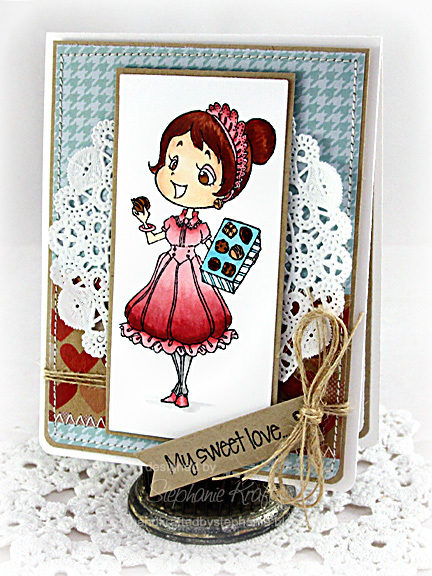 Be sure to visit all rest of the SCRS designers for more peeks of Chocolate Box Ruby. Sparkle will be giving away a Chocolate Box Ruby to one lucky person! For a chance to win, you need to comment on all of the designer's blogs (list below). Then head on over to the and comment on the Ruby post. You have until midnight EST each day to comment. The lucky winner will be announced on Monday! Accessories: Banner Stacklets 1 (Taylored Expressions), Long Rectangle Nestabilities (Spellbinders), 1/4" Round-it-all (Zutter), Markers (Copic), Doily, Twine (May Arts), Foam tape, Thread, Sewing machine. This is really cute! 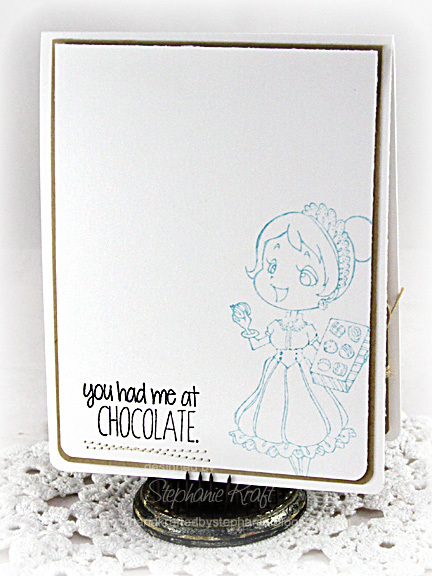 I love the way you colored your image and the doily background! I just love your pretty card! Great coloring, too...inside and out!!! Sweet card. 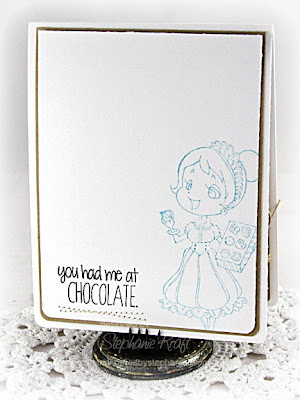 The coloring and embellishing of the design are great but I really like the way you stamped the inside of the card. Such a lovely card and love the use of the image inside. Great job. What a darling card. I love how you colored Ruby. So cute Stephanie! Love her pretty dress and the sentiment tag! Hope to see you at CHA if you are going! So pretty--I like your coloring and papers. Beautifully colored! I like how you decorated the inside of the card too. This is so super cute and I love the doily you used. Fabulous.